Crisp skin, juicy meat, simple prep, easy clean-up. Meet the Chicken Hook, by the Elevated Cook. Your new favorite go-to family dinner. For a traditional oven roast or your outdoor grill! Heat penetrates the chicken from all angles for even cooking. 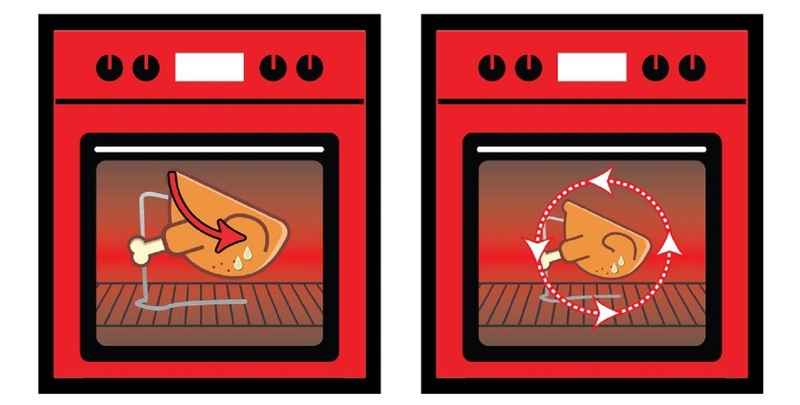 Air is able to circulate throughout the oven and around the bird. The juices run down the angled chicken to self-baste the breast. For traditional oven OR backyard grill. 100% American-Made Top Grade Stainless Steel! 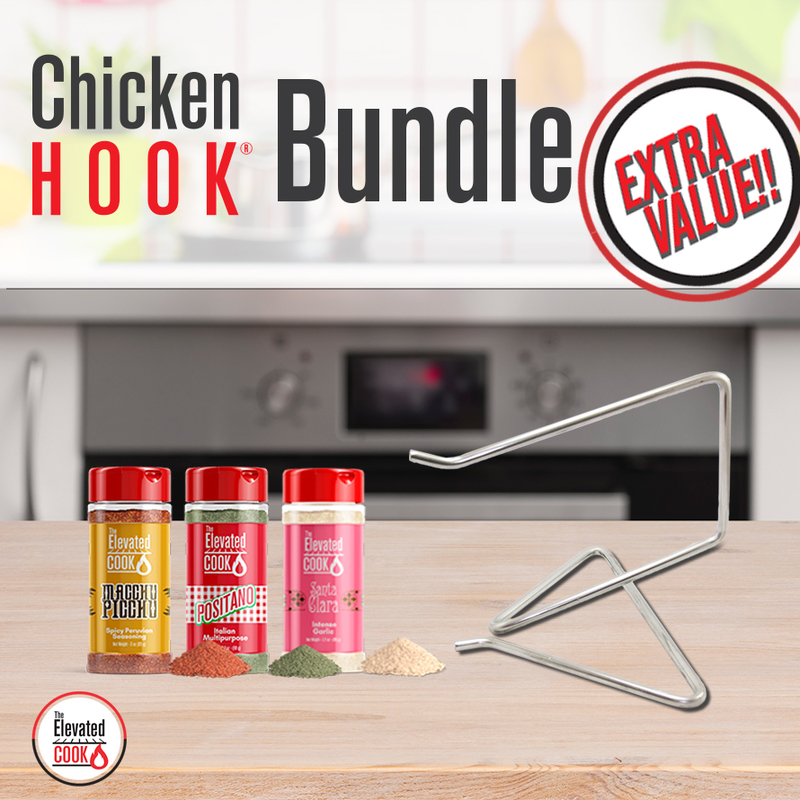 Our flagship product will revolutionize your classic chicken dinner! BETTER THAN BEER CAN CHICKEN. Self-bastes into breast rather than draining moisture from the breast, and allows for even heat distribution. THE PERFECT ANGLE. Yields juicy meat, crispy skin, every piece of the chicken is perfectly cooked. TOP QUALITY, FOOD GRADE STAINLESS STEEL. This is not the stuff you mess with in your metal shop. Oven safe, grill safe and dishwasher safe. 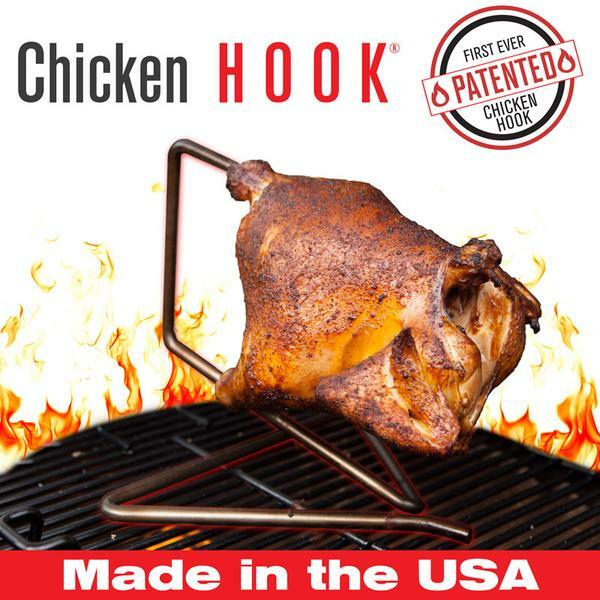 The Chicken Hook utilizes a method known as Suspension Cooking. The air circulates, the juices run down. No muss, no fuss. Perfection.